This is an interesting article describes how I was annoyed by the poor service of Facebook, at mid night. I can see who are all online, but I can't chat. They said it is some technical problem, but I was annoyed, greatly. I posted the above picture to Mark Zuckberg and complained about the issue. 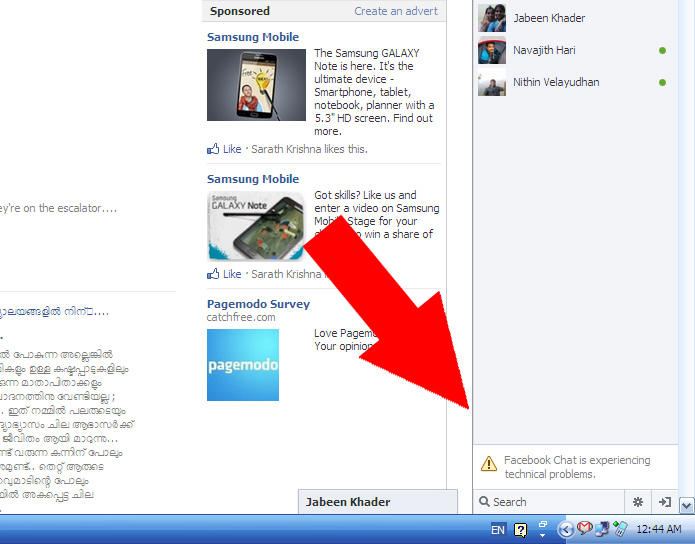 Facebook engineerngs may be busy in tackling the issues related to spammers those who posts vulgar posts in one's wall. But I closed the Facebook window and took a great decision that to invite some of my buddies to Gtalk and Google+ tomorrow, I mean today, oops..
Rel=publisher - is it a standard HTML markup or valid meta tag? Google recently introduced the Google+ Pages, which can be connected with the websites using the rel=publisher html markup. But is it an industry standard? Learn where does the rel=publisher markup / meta tag fit in the HTML 5 standards. If nothing else Jeff and anoyne else for that matter, you should come play Marvel Avengers Aliance with me of Facebook, its addicting and pretty fun.Ams is right too, with the tech the way it is nowadays you could view via internet or order to come to your house.If you have time to read in your schedule.give us a link to your facebook page my man. I'm always looking to add new people.